Racing is a great way to improve your sailing, but if you’ve never done it before it can be rather confusing and intimidating, so we’ve put together some suggestions to help get you on the water and across the finish line. It may be obvious but it can’t be said enough, a race training course is the best way to get into racing. At Trimpley we run race training at various points through the year. 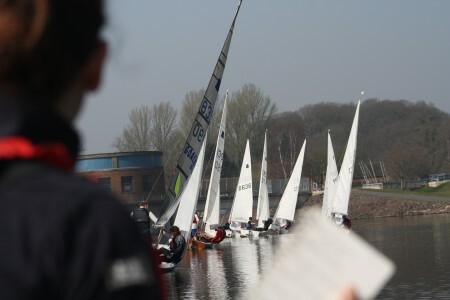 These courses are a great introduction, giving you all the essential information you need and give you plenty of practice with some coaching from our top sailors. 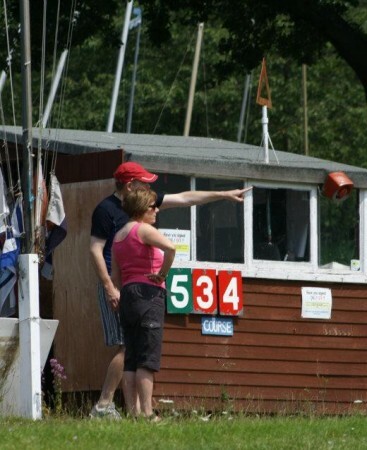 If we aren’t running a course at a convenient time, the RYA runs a Start Racing course too. 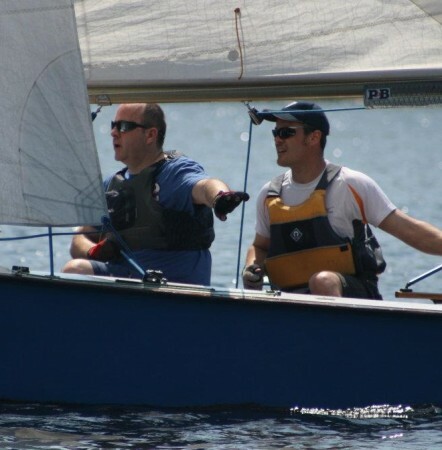 You don’t have to race at Trimpley, so why not mix it up with some free sailing? Come down early for some practice and then just do one race. You can always free sail in the afternoon as well. As your confidence builds you can start doing a second, then third race. Pretty soon you won’t be needing any more practice! If you know somebody who’s a similar level to yourself, why not arrange to train together and enter the same races. This is a great way to make sure you can get out on the water early. There’s nothing like a friendly rivalry to spur you on. 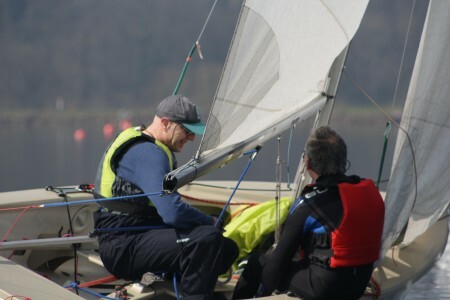 A lot of our new sailors find it easiest to start off racing with an experienced club member who can explain the intricacies of racing and encourage you to race regularly. Getting help is easy, you just have to ask. So you’re in a race and have no idea what’s going on? Don’t worry, just follow everyone else! If a boat near you is going faster than you, then copy what they’re doing and make a mental note of what they did differently to you. If it doesn’t make sense, you can always ask them about it when you’ve finished. Sometimes it’s good to get a completely different perspective on racing. Why not ask the OOD if you can help out and get them to explain whats happening through the race. It’ll really help you understand the start and finish plus you’ll be able to see the ‘big picture’. 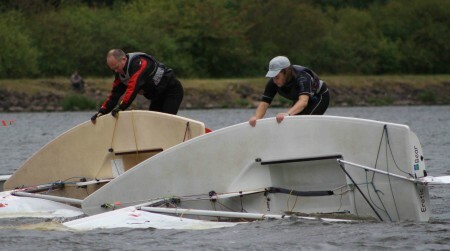 You can also ask if you can help in the safety boat for another perspective, the answer will almost always be yes. When you’ve finished a race and there was something you didn’t understand, ask someone! You’ll get an answer, and probably a heap of other advice too. Even if you didn’t run into any problems, just ask what you could have done better. You may find your first races quite intimidating, with boats jostling for position and lots of shouting going on, but don’t worry, we’re just making our position known. If you’re new to racing no one is going to mind if you get in the way, just avoid any collisions. You’ll soon get the hang of it. In any case you won’t really start improving until you really do get stuck in. Now stop reading and get on the water! But if you’ve got some other suggestions about getting into racing, why not add them below first?